EDIT: Balzac has closed down. Balzac, whom the prurient Hookerlily calls “ball sacs,” is a famous French writer whose novel, Le Pere Goriot (1835), is among the first to depict a homosexual as an evil genius. Is it a wonder that when we were dining at the namesake, we ran into three gay couples? And as everyone knows, gay people are indicators of good taste. 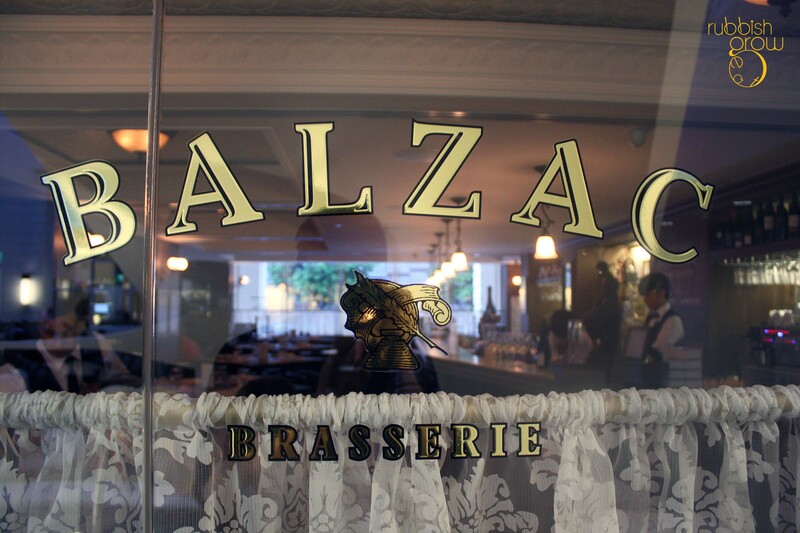 The good taste of Balzac is reflected its decor: a gorgeous Paris atmosphere with its tiny bistro chairs and tiny tables, like in the 1940s Paris. Not for plus size people like me, the setup, however, is very romantic. Request for booth seats during reservation for a more intimate date, otherwise you will end up squeezing in a corner with another couple, behind a pillar, a lousy location that is difficult to get attention for service. Not only is it difficult to get attention, the servers themselves didn’t pay attention. For instance, they often asked confusing questions and answered their own salvo of questions: “Are you finished with the food? Can we clear the plates? No?” and they walked away. But the food is a separate matter. 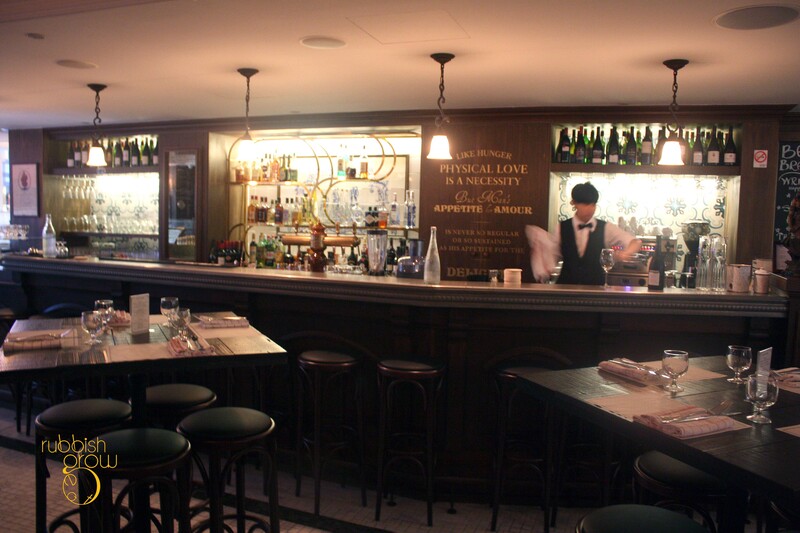 Chef Jean-Charles Dubois, previously from The French Kitchen, seeks to provide simple, homely and bright French food. We managed to hop onto the set dinner promotion at $98++ per couple with a free bottle of wine. But in actual fact, we wondered if the promotion was worth it. Firstly, the server hid the set menu until we requested for it. So be sure to ask. Secondly, two starters and two mains cost about $80 and the remaining ($98-$80=) $18 was used to pay for the wine–so the wine wasn’t really free? For starters, my date ordered half a dozen of escargots in garlic, parsley and butter, which are delightfully free of the earthy taste, and rather tender. 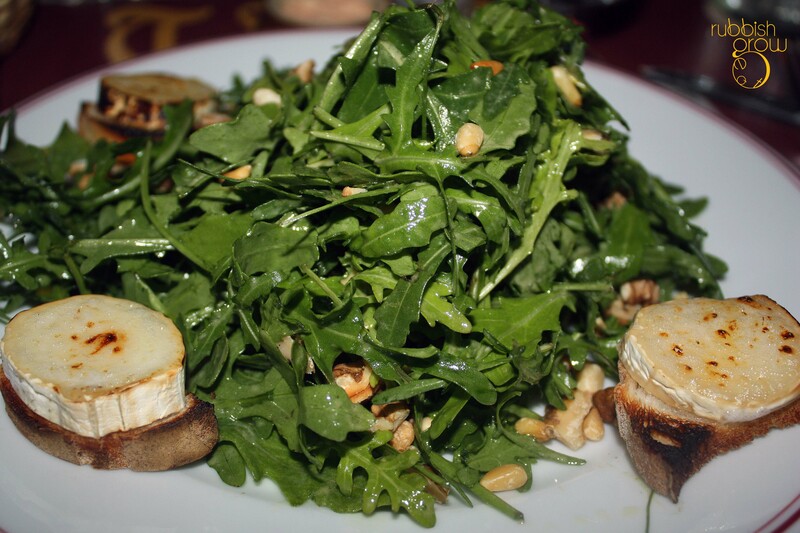 My goat cheese salad (pictured above) comes with a ton of arugula in the middle, flanked with four pieces of goat cheese on top of toast, a dish light and bountiful for a goat. 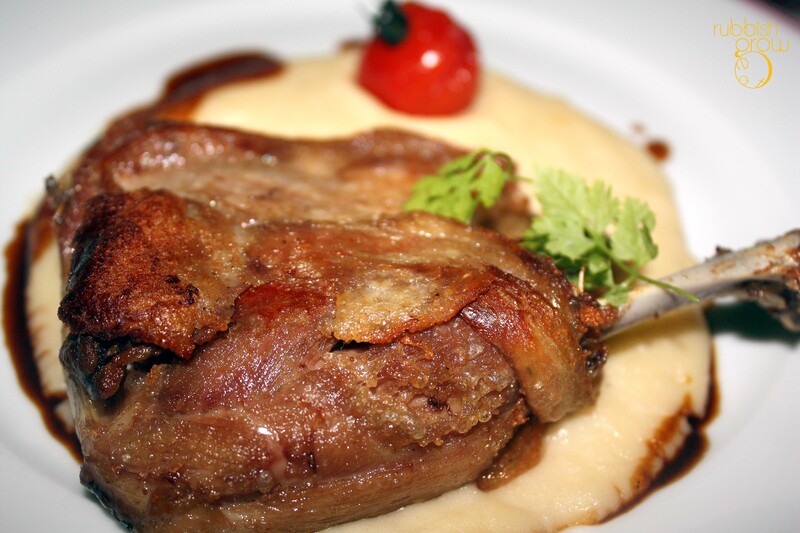 Both my date and I opted for the quintessential French dish, duck confit, served in a pool of mash. Unlike elsewhere, the moist, crispy duck is much less salty and is sweeter, probably due to the orange sauce. Very delicious. For desserts, which are not included in the promotion set, we had lemon tart topped with scrolls of meringue snow ($9) and Valrhona chocolate lava cake ($12) with a side of very rich Tahitian vanilla ice cream. Both are equally delightful, depending if you like it tart or sweet at the end of a meal, although the chocolate lava cake is quite a killer. On the first visit, we spent $140 for two. On a second visit, the service remained dismal but the food was better than the first time (probably because it was quiet on a Sunday and the chef could spent more effort on the food). We had a full dozen of escargots, two glasses of wine, duck confit and the beef cheeks, which was amazingly tender, with truffled mashed, and finally, the chocolate lava cake. On this second visit, without the promotion, we spent almost the same amount as the first visit: $135 for two. In general, my articulate date thought traditional French food should have stronger and more heavy-handed flavors but I enjoyed the subtleties which are quite sublime. 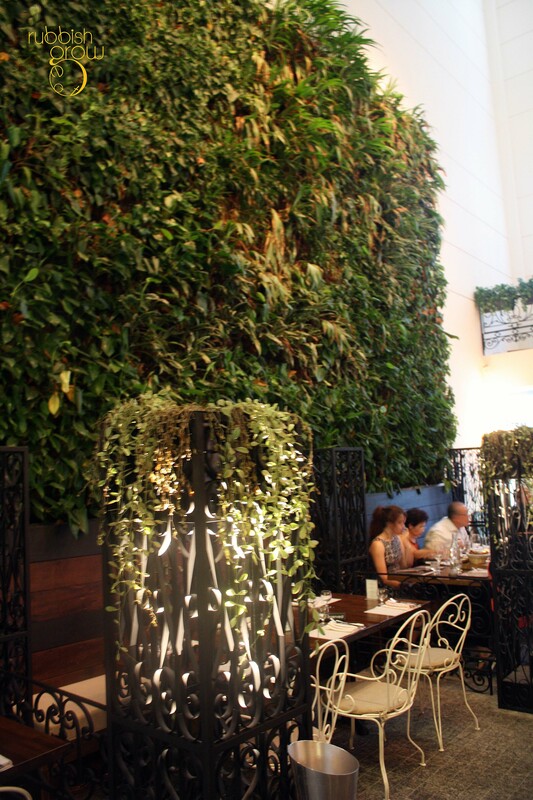 The food is delicious; the restaurant transports you back to Paris; and if you don’t care for service, Balzac Brasserie is the restaurant to go for romantic dates. the beef cheek was equally awesome. The food was quite perfect. No complaints there.